There is magic taking shape as VACAYA prepares to launch its inaugural seven-night Ptown cruise on the Celebrity Summit, sailing out of New York City on August 11-18, 2019. VACAYA is the first large-scale LGBTQ vacation company for adults to launch in decades. While many queer travelers have heard of companies like Atlantis, RSVP, and Olivia, who have been the preeminent go-to for LGBTQ folks longing for escape, the mission of VACAYA takes the idea steps further by securing not only entire cruise ships but also high-end luxury resorts to capacity, and utilizing their unique all-inclusive amenities. Indeed, VACAYA’s strategy will undoubtedly change the way queer travel operates. 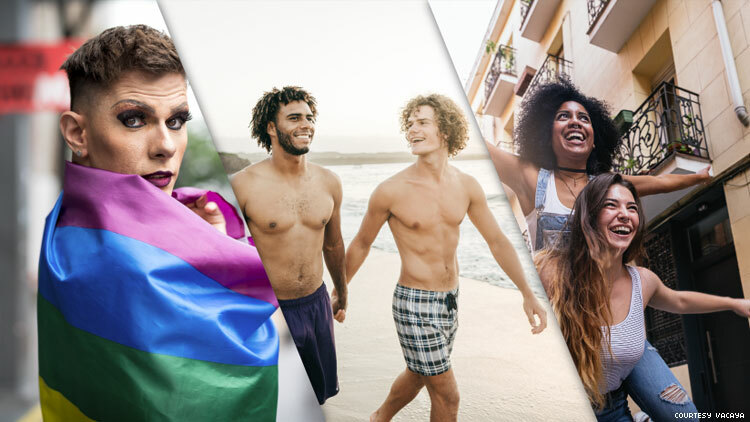 Challenging the “circuit party” visual of gay cruising, VACAYA vacations are targeting beyond just the partygoers (though there will be plenty of lively and welcoming parties aboard the Celebrity Summit, which holds 2,100 guests). The company’s goal is to add connection to its luscious and customized itinerary, and the intention behind it is strong. Through the company’s ReachOUT program, on every vacation VACAYA will partner with local organizations in the communities they visit to lend a helping hand where they can. For some travelers, that manifests itself in a bit of sweat equity (volunteering a couple hours to help clean the beach, for example). For others, they can help through donations. Together, these efforts strengthen the bonds travelers have with the local communities who welcome them. VACAYA has already gained a lucrative word-of-mouth reputation, months before its inaugural trip. In addition to the Ptown cruise, it’s secured two European river cruises that sets sail in mid-December, an Iceland Cruise setting sail in Summer 2020, as well as the entire UNICO 20°87° Riviera Maya resort in Mexico to celebrate Halloween and Day of the Dead in October 2019. Imagine exploring Mexico in five-star all-inclusive luxury with an entire resort reserved solely for LGBTQ-identified travelers (and their allies), all of them eager to share stories and cocktails while enjoying grand parties, top-notch entertainment, and delicious food. That kind of seven-day all-inclusive queer escape has never been seen before, and it’s only the beginning. For October’s Halloween and Day of the Dead resort vacation at UNICO 20°87° Hotel Riviera Maya, not only are food and top-shelf alcohol included, but spa, salon, golf, scuba, and excursions are also included. Talk about convenience! As for its inaugural cruise, the Celebrity Summit was one of the first environmentally friendly gas turbine ships on the seas, and its progressive culture is the perfect home for VACAYA’s inaugural voyage. Following its multi-million-dollar “Celebrity Revolution” makeover, VACAYA’s timing to charter this ship is impeccable. With it’s redesign of all staterooms, spa, and public spaces, addition of modern conveniences, new areas for suite guests, upgraded dining like the Cosmopolitan restaurant and its avant-garde sushi restaurant, Blu, guests will find comfort getting lost and finding luxurious surprises around every corner. Entertainment is always something to keep in mind as well, especially for queer travelers with high levels of connoisseurship. Thankfully, VACAYA iscompletely customizing the entertainment for their events, bringing in the best comedians, vocalists, musicians, specialty acts, and drag artists from around the world to add to Celebrity Summit’s already world class shows. Furthermore, VACAYA will release the all-important cruise line booking numbers (which allow guests to book their excursions in advance online) approximately 90 days before each cruise. Gunn recommends using these numbers to book excursions directly from the cruise line, rather than through private companies, to ensure the ship knows exactly where you are so that they ensure a safe return. Travel has never been so convenient for queer escapers, and as VACAYA leads into its many upcoming adventures this inaugural season, eager visitors are right to be curious. The ever-changing landscape of travel will soon become tangible through a queer lens. VACAYA is just speeding things along. Learn more at MyVacaya.com.